Welcome to La Casa Con Una Vista. 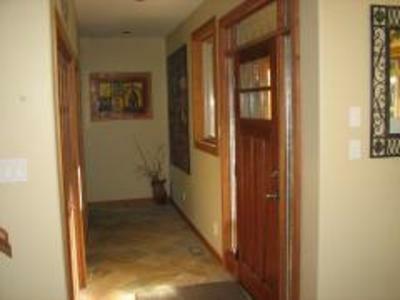 Come and enjoy a magical 360 degree Mountain View home based at the foot of Mount Currie. This unique property is located on 2.5 acres in the rural valley of Pemberton, just 25 minutes north of the 2010 Winter Olympic town of Whistler. 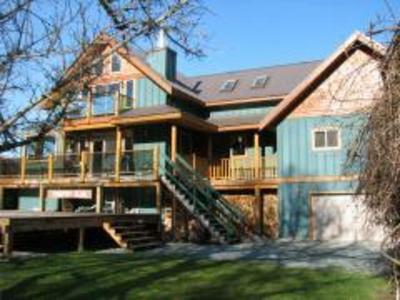 This custom home was built in 2005 it offers all the comforts of home for your 2010 Olympic getaway. 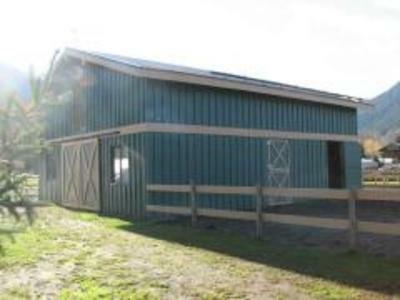 This home offers 3 bedrooms featuring one bedroom with a king size bed and the other two bedrooms offer queen size beds. 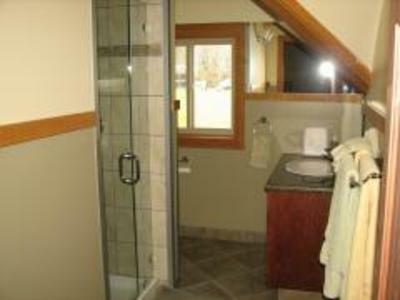 Full en suite with Jacuzzi tub and two more bathrooms complete with showers, heated floors and granite counter tops. 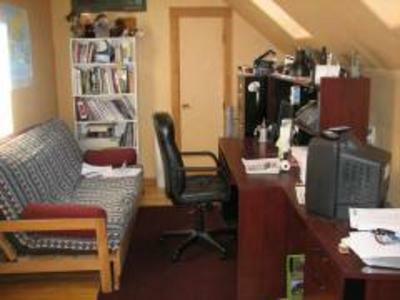 The den/office has computer facilities that will help keep you connected and the room offers overflow sleeping with a futon which could sleep two. 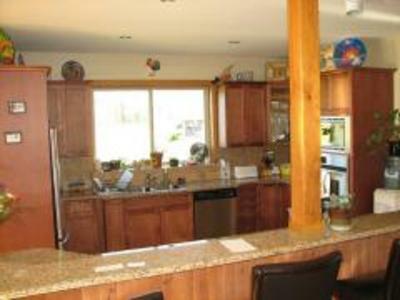 On the main level of the home is a modern kitchen with stainless steel appliances, granite counter tops, heated floor, ample cupboard space and prep area. 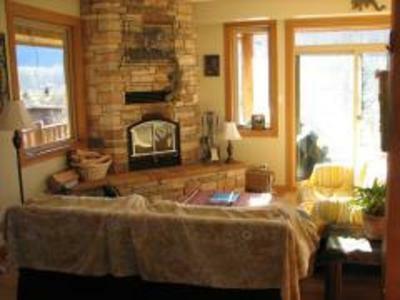 The living room area offers two couches and a fireplace with forced air fan. You couldn't ask for a more perfect place to curl up with hot chocolate and a book and relax after a busy day at the Olympics in Whistler. 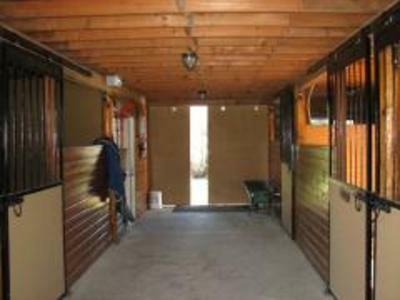 It has sliding doors to the exterior rap a round deck. Start your day in the breakfast nook area with full solarium with over head windows that offers amazing views of Mount Currie. 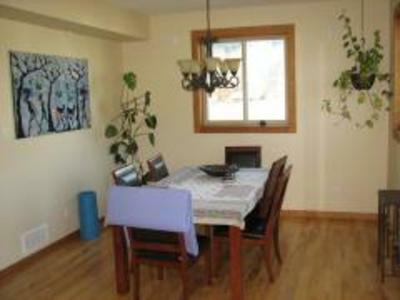 There is an ample dining area with easy access to the TV area. 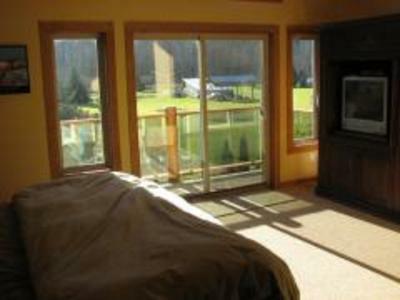 The 1500 square foot exterior deck offers a Jacuzzi hot tub with amazing view of Mount Currie. A perfect place to relax and enjoy the spectacular views this unique setting provides. 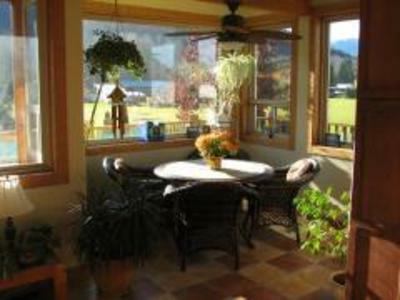 This accommodation is just 2 minutes from the town of Pemberton where there are two grocery stores, liquor store, gas stations and restaurants. There will be regular 24 hour shuttle service that will operate to and from Whistler from the park and ride in Pemberton. Pemberton is a beautiful town of 2500 people, a true nature lover's getaway. The office has a double size futon.